He was greeted by applause when he walked into the United Nations General Assembly, and applauded again, even after questioning 9/11 and claiming that the American government may have been behind the attack. That’s right, applauded after questioning the motivation for the terrorist attacks, who was responsible for them, and essentially suggesting they were a U.S. plot. Mahmoud Ahmadinejad has made a variety of claims over the years during his appearances here, but he never has gone this far when talking about 9/11. During his General Assembly address, the Iranian President called for a “U.N. fact finding group” to investigate 9/11. Before his speech, the Obama administration must have had high hopes that Ahmadinejad would have listened to the offers of diplomacy as presented by the administration and its allies on the Security Council. Members of the U.S. delegation remained in their seats. In years past, only what is called a “low-level note taker” has often been posted behind the little plastic “United States” sign, when Ahmadinejad took the stage. On Tuesday, when Ahmadinejad spoke during the global summit on poverty, the American delegation remained even as he predicted the defeat of capitalism. But true to form, he quickly went over the line with his 9/11 remarks and that prompted the U.S. diplomats, and others, to get up and walk out. But as Ahmadinejad walked from the podium, he did so rewarded by applause in the august chamber of the world body. (Reuters) – Iranian President Mahmoud Ahmadinejad told the United Nations on Thursday most people believe the U.S. government was responsible for the attacks of September 11, 2001, prompting the U.S. delegation to leave the room in protest. 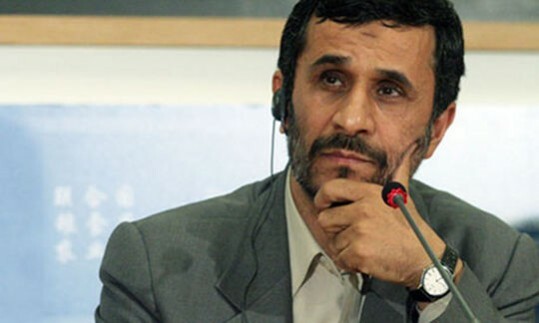 In his speech to the General Assembly, Ahmadinejad said it was mostly U.S. government officials who believed the Islamist militant group al Qaeda was behind the suicide hijacking attacks that brought down New York’s World Trade Center and hit the Pentagon. Killing kids with predator drones isn’t offensive or hateful though. Yeah, that’s the sick part of all this. The MSM decides what’s hateful, the American public gets in line behind it. “Drones? What drones?” “Well, it’s not clear that anyone has really been killed by them, it’s all just heresay.” “Drones are just a necessary evil of war.” “War’s not pretty, you know.” “It’s a war on terror.” Etc. Watched the vid, didn’t notice any special applause. Latest updates to this story can be found at the 9/11 Truth News blog.